He’s an adorable guy who’s been putting up with Demodectic mange for a while. He’s been on Ivermectin for six months with poor results so his human opted to use Mite Avenge in conjunction with the Ivermectin. His owner is delighted so far and has promised to send updates. We will post them as they arrive. Let’s all root for Champ! I must say that I am quite impressed with Champ’s improvement in such a short time. The lady I spoke with said that I might see some quick improvement and I think she was right. 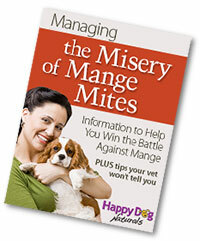 At any rate I am sending some before mange, before Mite Avenge/povidone iodine, and some after Mite Avenge/povidone iodine pictures. I will try to send more pictures along as his condition changes. The redness and irritation is greatly diminished. He became flaky and a lot of dead skin came off after just 2 days. Champ seems to feel much better and I can honestly say that I have not seen him scratch in two or three days. Champ is still on ivermectin as per the veterinarian’s instruction. I do not want to go against his recommendations, although Champ has been on this ivermectin for almost 6 months with little to NO change. I have tried quite a few “home remedies” on the internet and haven’t really seen any improvement until now. I now have a lot of hope for his continued improvement. Thank you for your patience on the phone the day that I ordered your products. You were in no rush and you took a considerable amount of time discussing my dog’s problems. I also appreciate you not being pushy about me buying your products. You genuinely seemed to have the dogs’ health as a priority instead of just making a sale and making money. The photos with Champ with the long hair was before mange set in. 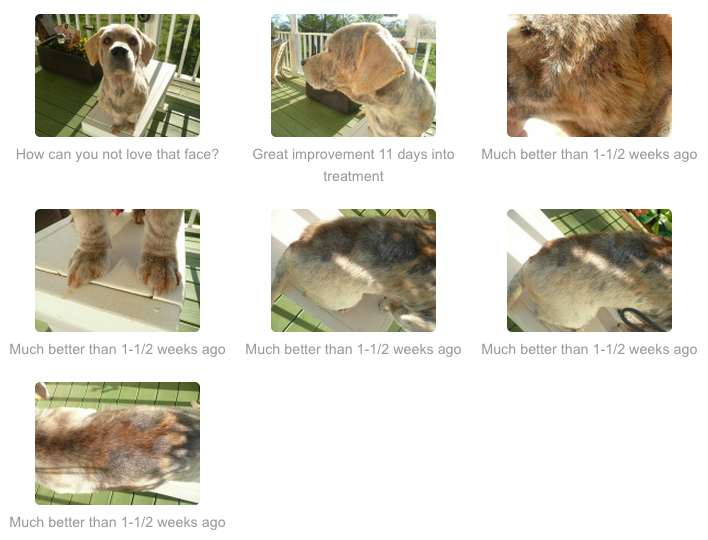 The pictures of Champ on the green decking wood was on April 3rd, 2014 right after I shaved him. The photos of Champ on the natural colored wood decking were taken on 4/9 2014. Something is clearly happening here. I am very happy to finally start seeing some results. I can’t wait to see Champ back with his long hair looking the way he should. 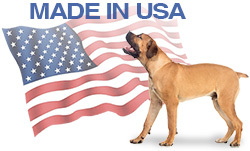 He is a great looking dog and everywhere I take him people just go on and on about him…what kind of a dog is this? I wish I had a nickel for every time I’ve been asked that question. He is a mixed breed. With the shaved hair he looks like a greyish tan beagle. 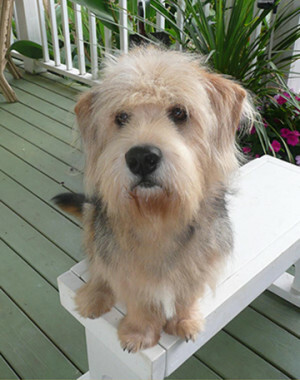 With long hair he looks like a bearded collie with the coloration of a Yorkie. I found Mite Avenge about 2 months ago while scouring the internet looking for some help for my dog. I surely wish that I had gone ahead and ordered it back then. 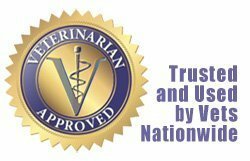 I was just skeptical that anything could work since even the 3 veterinarians I’d taken Champ to did not help his condition at all. He is way better now after only 11 days..the redness is almost all gone. The inflammation is gone, his hair is growing back in fast! All I can say is wow. My Vet said to plan on 6 months to get a cure with Ivermectin, but it is not working. I do not want to sound like a Mite Avenge commercial … but this stuff works! Pictures do not lie … and neither do I.